Here at Pavéction we deal with the finest diamonds, but many diamonds appear very similar, so how do you know you what you are buying? One carat equals 200 milligrams in weight. For diamonds under one carat, each carat is divided into 100 points – similar to pennies in a dollar. 0.75 ct. = 75 points, 1/2 ct. = 50 points. The size of the diamond does not affect its quality but it does speak to it’s rarity. Although many people think of gem quality diamonds as colorless, truly colorless diamonds are actually very rare. Most diamonds used in jewelry are nearly colorless with tints of yellow or brown. Color grades are determined by comparing each diamond to a master set. Each letter grade represents a range of color and is a measure of how noticeable a color is. Fluorescence Some diamonds can emit a visible light when exposed to ultraviolet radiation, but fluorescence is not a factor in determining color or clarity grades. However, a description of its strength and color is provided on GIA Reports as an additional identifying characteristic. A polished diamond’s beauty lies in its complex relationship with light. The magnificent display you see is made up of three attributes: Brightness is the combination of all white light reflecting from the surface and interior of a diamond. Fire describes the “flares” of color emitted from a diamond. Scintillation describes the pattern of light and dark areas and the sparkle you see when the diamond, the light, or the observer moves. A diamond’s proportions affect its light performance, which in turn affects its beauty and overall appeal. Diamonds with fine proportions, symmetry, and polish optimize their interaction with light, and have increased brightness, fire, and scintillation. GIA assesses these factors for standard round brilliant diamonds in the D-to-Z color range. Here at Pavection we are proud to offer you our ‘Fifth C’… Confidence. We create the finest quality jewellery made with expertise, precision and care, and guarantee that all of our gemstones are ethically sourced. We also provide certifications and factory reports. 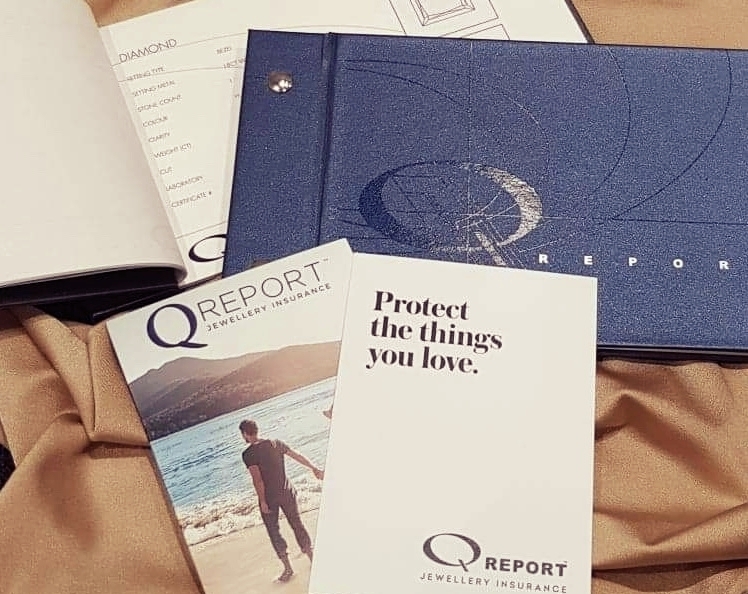 We can also offer you premium insurance from Q Report to ensure that your jewellery is appropriately insured for absolute piece of mind.